Big V Properties was excited when they landed a new nationally known anchor tenant in their newly acquired retail center. That was until they received their tenant’s roof inspection report recommending a full removal and replacement of the existing SPF roof system within the next three to five years. The estimate for this was just over $500,000. That was when they contact ACS for help. The initial inspection by the tenant’s inspector was based off visual evidence. ACS suggested a thermal roof inspection be performed to assess the condition of the SPF foam under the coating. This inspection found that less than 5% of the roof system showed signs of water damage that would need to be removed and replaced. The rest of the roof system could be restored with a new coating system. 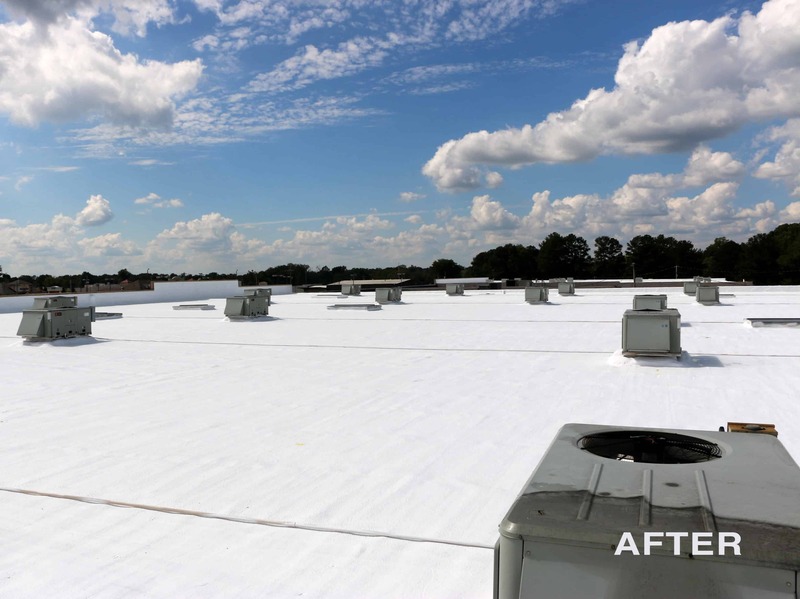 Because of the amount of ponding water caused by irregular patterns in the SPF, ACS recommended a silicone coating, as it is not susceptible to damage from ponding water as acrylic coatings are. The cost for this system with a 10-year manufacturer labor and material warranty was less than half of the previously suggested solution. 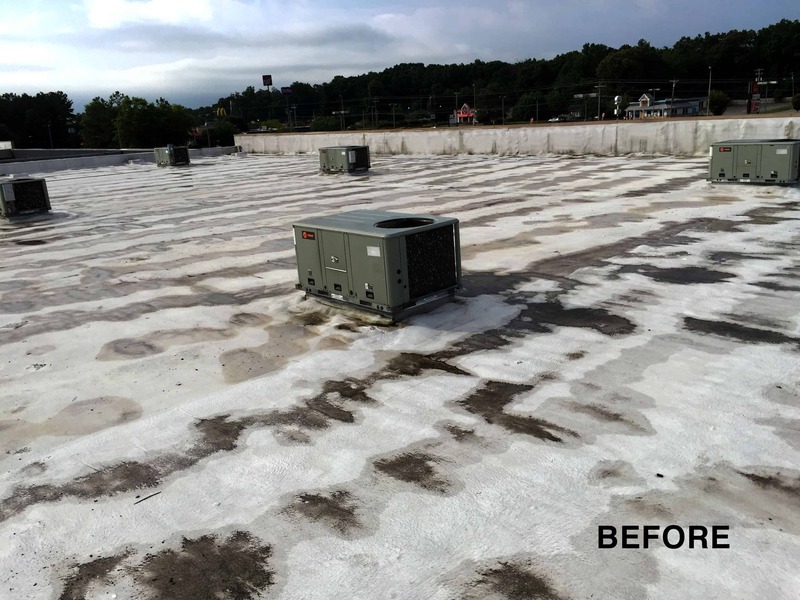 At the end of the project, the tenant received a leak free warrantied roof and Big V Properties saved hundreds of thousands of dollars. It pays to have good information…in this case, literally.